Musha Gundam MK-III, the ancestor of the MK-III Daishogun, can now be yours in LegendBB form! 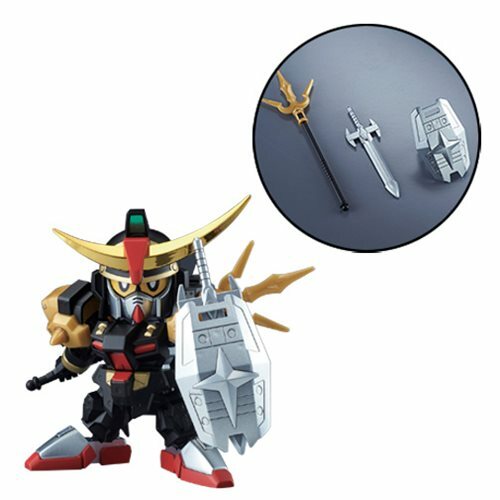 The Siroganenotate and the Ginroken - two hidden treasures of the Gundam Army - are included in this 3 1/2-inch tall Gundam BB404 LegendBB Musha Gundam MK-III BB Sangokuden Model Kit, along with 9 runners, a foil sticker, and an instruction manual. Ages 15 and up.